In addition to the multiple products, there are 3 lines - Aina (normal-dry), Kai (oily), Pua (sensitive) and then all end with the Mana Moisturizer (for all skin types). 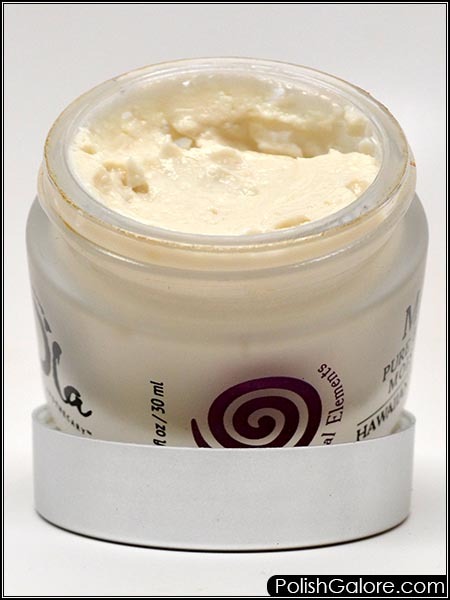 The moisturizer comes in a frosted glass container with a silver brushed lid. The 30 mL jar sells for $45.00. The product itself almost has a whipped texture. To use, first cleanse and tone your skin, then scoop out some moisturizer in your hand. Add a few drops of serum and then massage gently into your skin, avoiding the eyes. 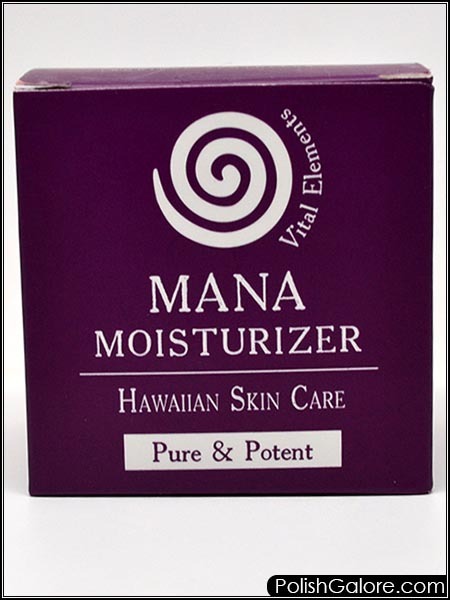 The Mana Moisturizer contains anti-aging ingredients extracted from the land and sea with powerful essential oils made in Hawaii, locally harvested, naturally active, certified organic, sustainably grown and wildcrafted. I was sent a one-time sample size of the Pua cleanser, toner and serum, so I used the entire system at first. While I cannot attest to long time usage, the cleanser and toner felt nice while the serum was a little sticky but melted into the moisturizer. The moisturizer itself did not work for my skin and sweated off (a problem I have with moisturizers from time to time). The moisturizer does smell a little earthy but the scent does not linger. Because of the whipped texture, you must add a serum to it or it does not melt well into the skin. 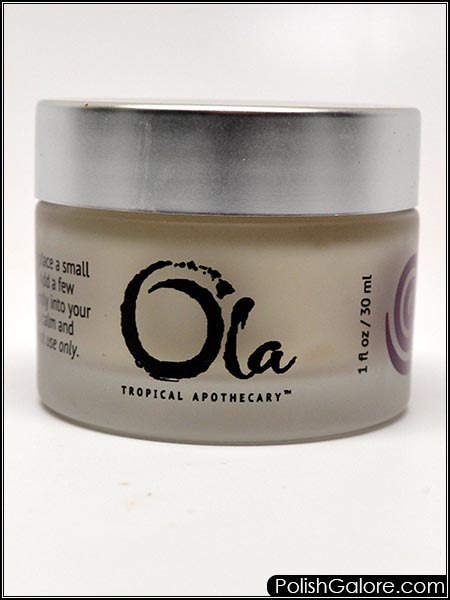 I tried the moisturizer with a different serum but had the same sweating off issue however I do recommend using the Ola products for best results with this moisturizer. 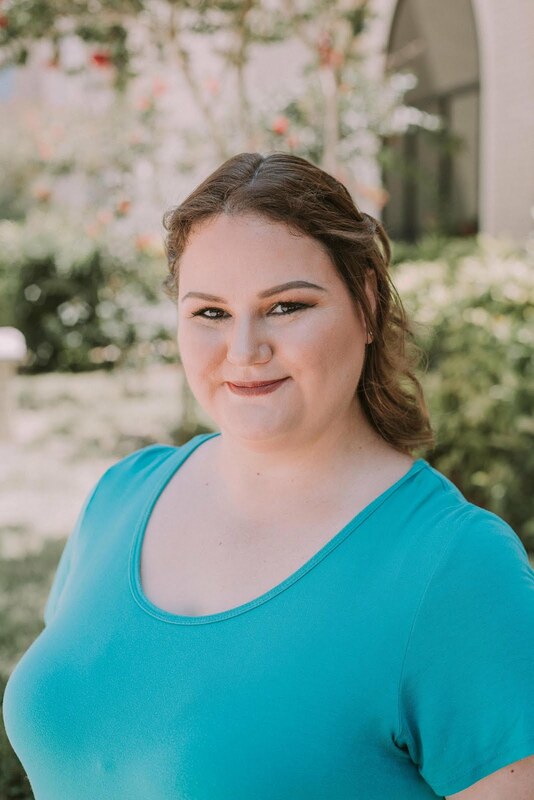 You can purchase the Ola line from their website. Join the social conversation on Facebook and Instagram.